A drum roll and a clash of cymbals when opened would really fit this gift to a "T". You'll please a "parade" of people from co-workers, to family members, with this 10 item collection. 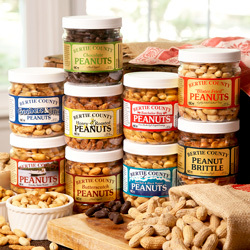 The collection includes one small jar each of the following: Blister Fried Peanuts, Chocolate Covered Peanuts, Butterscotch Covered Peanuts, Peanut Brittle, Batchelor Bay Seasoned Peanuts, Honey Roasted Peanuts, Smoky Sans Souci Peanuts, Goobers & Stix, Sea Salt and Black Pepper Peanuts, and one 2 lb. bag of Roasted, Salted in the Shell Peanuts. 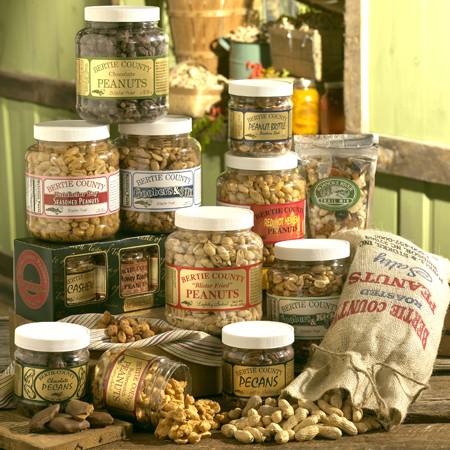 During the warm months of April - October we will replace the chocolate and butterscotch products with one small jar each of Goobers & Kickn Stix and Unsalted Blister Fried Peanuts. Same great quality and service every time!! NC product at its best! Sent a gift selection to a family member in PA. 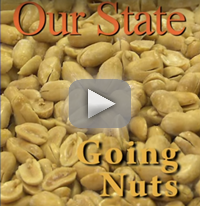 They were thrilled and loved the quality and taste of the nuts. I have not received this order and am very disappointed in the slowness of getting this order. Not sure that I will order again from this company. 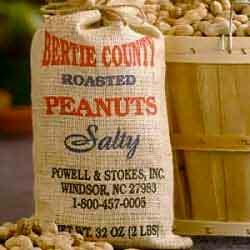 We have been purchasing Bertie County Peanuts for years and having them shipped to my grandfather in IL. He is always excited to see the box in the mail. Product is if the highest quality and a great variety. Perfect for the person who has everything. Delivery is quick and the quality of the products are top notch. I sent Bertie Co peanuts as a birthday gift to family in Oregon. The recipient loved the taste of home since moving away. The great variety was icing on the cake. This was a gift for my dad who isn't the easiest to shop for. He loved and was snacking on the peanuts when I called. Ordering was super easy from the website. The gifts were shipped right to our clients door! The gift was very well received and enjoyed by all.